Are you shopping for the best Bluetooth headphones, but with so many options you are struggling to make the right choice? In this buyer’s guide you’ll find the best headphones with Bluetooth the marketplace has to offer. You’ll save time by taking a look at the choices here since there is no need to research the marketplace for yourself. Furthermore, we have spread the headphones across 3 price categories so you can quickly navigate to the section that best matches your price range. 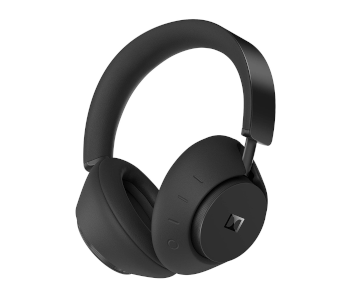 We have also added a buying consideration section for buyer’s that have never bought Bluetooth headphones. Here you’ll be familiarized with the important buying factors such as wireless connectivity, comfort, brand, durability, and audio quality. Consider each buying factor carefully to end up with the Bluetooth headphones that are a close match with your requirements. We had a great time writing this buyer’s guide and are happy with the choices we have found. They are the very best of what’s available in the marketplace and you’ll be hard pressed to find better options. Read until the end to have a balanced overview of what the Bluetooth headphones marketplace has on offer. Long 30 hour battery life, comfortable fit, and deep bass. Premium level audio quality and good Bluetooth implementation. It has a background noise rejecting microphone. You’re probably looking at Bluetooth headphones because you need wireless connectivity, which means it’s the first buying factor we evaluate. Pay close attention to ensure your Bluetooth headphones perform the way that fits with your needs. Battery life: in this buyer’s guide you’ll find headphones with varying battery time. Some offer enough to last you for days before you’ll need to plug it in to be recharged. Battery technology is constantly improving, which means you can expect battery life to be retained years after purchase. However, the indicated battery life is not the full story. The battery life drains at a faster rate when you’re enjoying music at full volume or using features such as ANC. Quick charge: the inclusion of a quick charge feature gives you a boost in battery life for a short period of charging time. It’s a handy feature that can be used when you have forgotten to charge the headphones. NFC pairing: near field communication is an innovative feature that allows you to create connections by simply tapping together two compatible devices. It’s useful when you want to connect the devices while on the go. Bluetooth version: the Bluetooth version in your headphones determines the range and audio reliability. Aim for Bluetooth 4.0+ to ensure you have a range of at least 33 feet and consistent audio that doesn’t cut out. Wired option: wireless connectivity is great, but having an AUX alternative to save battery life can home in handy. Headphones with an AUX port provide good versatility that allows you to use the headphones that match the situation. Pictures: take a close look at the pictures to determine the materials used and design quality. The high-resolution images can be zoomed in on, which is the next best thing to visiting a retail outlet to inspect in person. Materials: consider the materials so you get an idea of the structural integrity. For example, cheap plastics should be avoided since they are prone to scratches and can break. Steel and aluminum contribute to a solid framework. Warranty deal: read the warranty deal to figure out how much faith the brand has in their headphones. Ideally, the warranty deal should be at least 2 years and cover many damage types. Durability specific features: look out for durability specific features in the product description. For example, the V-MODA Crossfade headphones have a whole section that describes the military grade durability of their headphones. You’ll notice that the best brands in the audio industry are featured in this buyer’s guide. Therefore, you are spoilt for choice since you can buy in confidence. Buying from a reputable brand means you can rely on good craftsmanship. Good brands don’t cut corners because their reputation is at stake. However, if you’re unfamiliar with any of the brands in this guide do some background research. You can uncover information that will help you make a buying decision between competing headphones. Start by looking at unboxing videos, social media posts, forums, and customer reviews. Headband: the headband underside should have decent padding so that there is a soft feeling on top of your head. It should also be slightly flexible so that you can conveniently take the headphones on/off. Earcups: the earcup should be designed to facilitate ventilation so that the build-up of sweat and heat is minimized. Also, the soft padding around the earcup should be extensive so the felling on the skin is pleasant. Weight: low weight headphones are preferable since you’ll find them easier to wear for multiple hours. 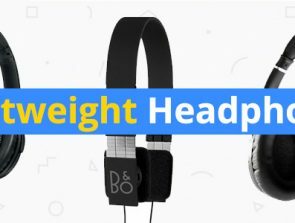 We have added the weight of each headphone so you can compare. Audio drivers: consider the driver implementation to figure out the type of audio to expect. Drivers are measured in mm, and bigger is better since the audio is louder. However, bigger drivers typically result in a bulkier design. The driver type is also important and most feature the dynamic implementation. The planar magnetic drivers are included in audiophile grade headphones such as the Audeze Mobius. Frequency response: the human ear can hear in the range of 20-20KHz, which means headphones offer at least this specific range. However, wider is better as it improves the vocals and bass. You’ll notice that audiophile headphones have a wide range – it’s typically a good sign of good audio implementation. ANC: active noise cancelation removes unwanted ambient noise so that the audio within the earcups is clear. 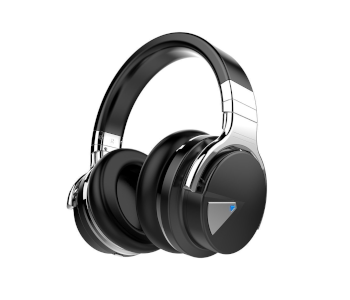 The feature allows you to use Bluetooth headphones while in noisy environments. However, when activated battery life is consumed at a faster rate. Do you have a limited budget and are looking for the best Bluetooth headphones? Then you cannot go wrong by investing in any of the options in this price bracket. You’ll be pleasantly surprised by the quality that you can find at under $100. It goes to show how much headphone technology has advanced at the budget end. The quality of implementation is the biggest difference between headphones in this price category and higher ones. For example, ANC is provided in a few models, but don’t expect the same level of ambient noise elimination compared with premium Sennheiser or Bose headphones. The under $100 headphones here are a good choice for buyers that need a back-up option or are buying headphones for the first time. Carefully evaluate the features to figure out the ones that are a good fit for your requirements. 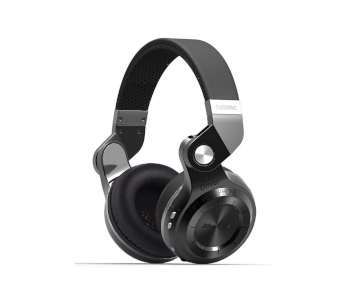 The Cowin E7 headphones are one of the best sellers and are aimed at the budget buyer. They come in a bunch of color options, which includes black, blue, purple, red, and white. Therefore, you can choose the option that best matches your preferences. Take a close look at what’s available here and you’ll be surprised by the quality you’ll be getting for the reasonable price. Active noise canceling technology is added that allows you to enjoy clear audio when working, traveling, and everywhere else. The feature adds some bulk to the earcups, but it’s worth it given the upside. 30+ hours of running time can be achieved per charge, but it depends on the volume and usage of the ANC feature. The 750mAh battery takes 4 hours to charge so make sure you set aside enough time to complete this task. NFC pairing is available that allows you to quickly and easily forge connections. The big and powerful 40mm audio drivers allow you to enjoy the music you love. You’ll feel the deep bass that immerses you into the music. Also, the mids/highs are well-balanced so you can enjoy any genre. All day comfort is provided via the ergonomic design. High-quality soft protein memory foam is used to ensure a comfortable fit without a strong clamping force. Furthermore, the headband has good padding on the underside that also contributes to good comfort. The Cowin E7 headphones have a few drawbacks that might be a deal breaker for you. Firstly, the design is bulky compared to most other portable Bluetooth headphones. Also, the sound quality cannot compete with higher priced headphones in this buyer’s guide. To summarize, the Cowin E7 headphones represent good value for money. 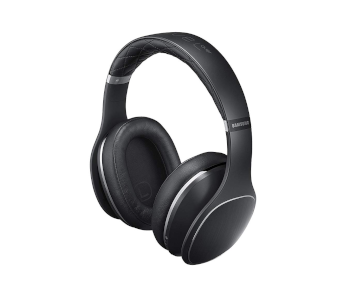 The combination of the comfortable fit, strong audio drivers, effective noise cancelation, and long battery life means you’re getting a lot for the price. However, don’t be surprised by the average audio quality that is not comparable to audiophile grade offerings. The Bluedio T2s have a stylish visual design and gives them a premium feel, which is surprising given the low asking price. You have 4 colors to choose from, which includes black, blue, white, and red. The value for money here is off the charts. Take a close look at the features to determine if what’s available matches your requirements. The Bluetooth 4.1 chip provides a range of 33 feet and reliable audio quality. You’ll enjoy a smooth music experience during the 40 hour battery life per charge. The long battery life is competitive at the budget end of the scale. The T2S Ultra-big speaker is a whopping 57mm, which means you’ll enjoy loud audio. Make sure to monitor the decibel level to avoid ear damage. The audio drivers provide detailed mids/highs and thumping bass. Therefore, you can enjoy a wide range of music genres to their full potential. Just make sure you are buying these headphones with realistic expectations. They cannot compete in the audio department with higher priced headphones. The earcups have a 195 degree rotary design, which means you can reduce the size to provide a better fit within your bag. However, no carrying bag is included in the package so you’ll need to figure out where to store them when traveling. The earcups are ergonomically designed to provide a snug fit that isn’t bulky. There is some soft padding that contributes to a pleasant wearing experience. The headband also has plenty of padding throughout the underside. Consider a few of the drawbacks before opting for the Bluedio T2s headphones. Firstly, there is a lot of sound leakage, which means you may annoy those around you in public. Also, the earcups might not be suitable for people with larger head sizes. To summarize, the Bluedio T2s headphones are the suitable choice for budget buyers that are looking for overwhelming value. The combination of the extra-long battery life, foldable design, large audio drivers, and low price means you’re getting a great deal. 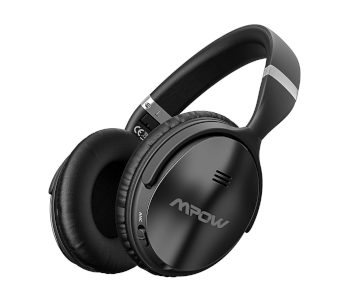 Mpow H5 is one of the best budget Bluetooth headphones the marketplace has to offer. They are highly rated and come with multiple features that add a lot of value to the package. However, you’ll need to take a closer look at what’s offered to figure out if there is enough quality to match your requirements. The ultra-long battery life of 30 hours ensures you won’t run out unexpectedly during the day. Bluetooth 4.1 is implemented that provides 33 feet of range, which means you won’t need to be next to the audio emitting device all the time. The headphones make use of basic materials but they are carefully implemented to provide long-lasting comfort. The earcups have good soft padding that provides a comfortable fit, and there is enough space for your entire ears to fit within the confines. The headband has adequate soft padding so there is a soft feeling on top of your head. It’s a foldable design that comes with a space-saving pouch. You can safely store the headphones in the pouch when traveling to protect them from damage. 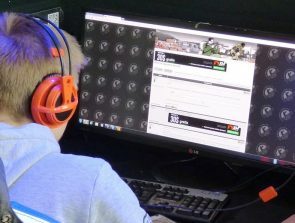 Additionally, a microphone is included so that you’re able to take calls or talk to others while taking part in video games. 40mm audio drivers are used that provide deep bass and a bright treble. However, don’t expect the audio quality to compete with the higher priced Bluetooth headphones in this buyer’s guide. The audio quality is aimed here at the music fan that doesn’t need the best technology to enjoy their tracks. Durability has been improved here and has passed a 10,000+ bending test. Furthermore, the clamping force has been increased to provide a more secure fit so they are suitable for most head sizes. Take a few moments to consider some of the drawbacks before proceeding with the purchase. Firstly, the microphone is of below average quality, which means you may need to repeat yourself to be clearly heard. Also, the noise canceling technology is relatively poor compared with the Sony and Bose headphones in this buyer’s guide. To conclude, the Mpow H5 is a good choice for buyers that have a limited budget and are after a bunch of features that are typically found in higher price models. You’ll love these headphones if you’re after long battery life and large 40mm audio drivers at a budget price. However, you’ll need to be prepared to deal with an average mic and sub-par noise cancelation. Do you have a reasonable budget and want more value than what the budget price bracket offers? Then you’ll be pleased with the options we present in here. They offer good value for money since you won’t be paying a premium price yet are getting that quality level. To make the right buying decision carefully evaluate the features to figure out the one that ticks all your personal boxes. You cannot go wrong by selecting any pair of headphones here as they all bring something unique to the table. The Sennheiser HD 4.50 is a dream come true for Sennheiser fans that are after a pair of practical Bluetooth headphones for everyday use. 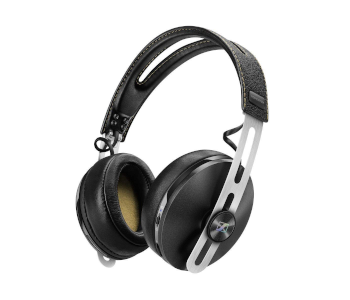 You’ll instantly notice the large earcups that Sennheiser is known for, but you’re also getting advanced comfort. To learn more about the technology implemented here read the rest of this short review. Bluetooth 4.0 is implemented with aptX technology, which means you’re getting reliable audio quality throughout the listening experience. You can also use the instant pairing feature via NFC. However, this feature only works with other compatible NFC devices. The total battery life is 25 hours and a detachable cable is included that can be used to save battery life. The 18-22KHz frequency response is well-balanced and you’ll appreciate the low total harmonic distortion. The sophisticated audio driver implementation ensures a solid audio experience that is worthy of the Sennheiser name. The lightweight design is surprising when you consider the bulk. Large oval earcups mean you have plenty of room for your ears and they provide good noise isolation. Furthermore, you can switch on the NoiseGuard feature to active ANC mode. The sturdy headband provides a good structure that gives the headphones a sense of rigidity. The Sennheiser HD 4.50 headphones come with a few drawbacks that shouldn’t be overlooked when making the buying decision. The headband could have extra padding to provide a more comfortable experience. Furthermore, the earcup design could be improved to promote ventilation. The current setup is prone to a build-up of sweat and heat. To summarize, the Sennheiser HD 4.50 headphones are a good choice for Sennheiser fans that want long lasting battery and good ANC. You’ll love taking these with you when traveling to work or going on vacation. However, you’ll need to get used to the bulky feel since the earcups are big. The Bowers & Wilkins P5 has a premium visual look and they feel luxurious in-hand. The execution of the features means the high price point is worthy of the investment. Take the time to carefully evaluate them to figure out if these headphones are the right choice for your needs. The leather implementation gives these headphones a blend of a premium feel and durability. Furthermore, there is plenty of padding on the headband underside and earcups for your convenience. The earcups can be rotated sideways, which allows them to be comfortably worn around your neck. The battery provides 17 hours of running time per charge and Bluetooth 4.1. A USB cable is provided so you can continue listening when the battery life has run out. The reliable Bluetooth quality means you won’t notice audio hiccups that could ruin the experience. The audio drivers of the Bowers & Wilkins P5 are tuned by some of the best industry professionals that understand how audiophile headphones should sound. The 40mm audio drivers are some of the best in this buyer’s guide, and you’ll love the accurate audio reproduction. Before placing the Bowers & Wilkins P5 headphones in the shopping basket consider a few of the drawbacks. Firstly, the 10-20KHz frequency response could be increased to provide deep bass and better vocals. Also, the on ear design does not allow for good noise isolation. So you may struggle to enjoy good audio clarity while out in public. 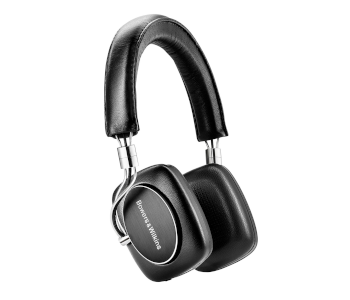 To summarize, the Bowers & Wilkins P5 headphones are a good choice for fans of a leather design. You’ll love these if you need well-tuned drivers, durability, and a premium feel. However, they are pricey so you’ll need to be sure you’ll get a lot out of them. The V-MODA Crossfade headphones boast some of the best durability in the Bluetooth headset marketplace. V-MODA is a well-respected audio brand that consistently releases highly rated headphones. Evaluate the features carefully to determine if these are a good match for your needs. The lithium-ion batteries provide up to 12 hours of running time, which is below average when you consider the other headphones in this buyer’s guide. Therefore, you may need to engage in battery maintenance more often than you’d like. The luxurious use of materials means they feel a lot more expensive than they actually are. However, the materials were selected not just for show, they are some of the most durable out there. For example, the steel frame allows the headphones to absorb physical impact without being prone to damage. Furthermore, the materials can withstand extreme weather conditions such as humidity, salt, UV exposure, and low/high temperatures. The 50mm dual-diaphragm drivers have inner and outer rings that allow bass to be separated from the mids/highs. Therefore, the highs will not bleed into the lows, which means you’ll have a clean audio experience. The headphones are tested at 6 frequencies to ensure they are working as designed. Consequently, you can be confident of receiving a pair of headphones that you can acoustically be happy with. Analog purist zero latency is installed, which means you won’t be frustrated with lag when gaming or watching movies. It’s a common problem with Bluetooth headphones that can drastically reduce the audio experience. Before adding the V-MODA Crossfade headphones to the virtual shopping basket consider the potential drawbacks. Firstly, the visual design is divisive due to the hexagonal shaped earcups. Furthermore, they cannot be folded down in size. Many other Bluetooth headphones have this feature that allows for easier transportation. 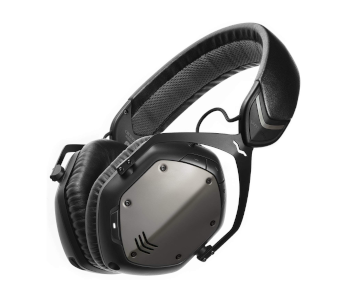 To conclude, the V-MODA Crossfade is the right choice for the buyer that wants Bluetooth with advanced durability. These headphones are ideal for traveling, hiking, and extreme weather conditions. The long-lasting durability should give you the peace of mind that you won’t need to replace them in the near future. The Audio-Technica ATH-M50xBT have a durable over-ear design that delivers an impactful audio experience. The combination of the large audio drivers, great acoustics, and easy call handling means you’re getting a practical pair of headphones with this purchase. The battery provides a solid 40 hours per charge and a collapsible design for storage when traveling. Therefore, they are a good match for traveling or commuting to work. The up to date Bluetooth connectivity ensure you can enjoy music without noticeable interruptions due to poor signal quality. The large 45mm audio drivers are designed for deep bass and vocals that do not crossover. Therefore, the audio reproduction has a smooth feel that allows you to enjoy music tracks in an immersive way. The acoustic quality here is on-par with professional equipment that’s used by DJ’s and other sound studio professionals. Extra padding is provided at the headband underside and earcups for a comfortable fit. Therefore, you won’t have to take breaks because you are getting agitated with the fit. Durability is also provided here since good quality materials are selected. You won’t have to take advantage of the warranty deal shortly after purchase. Consider the drawbacks of the Audio-Technica ATH-M50xBT for a balanced overview. Firstly, the bass can be a bit overwhelming for users that enjoy a more realistic audio profile. Also, there is no ANC, which is found in the majority of competing Bluetooth headphones. 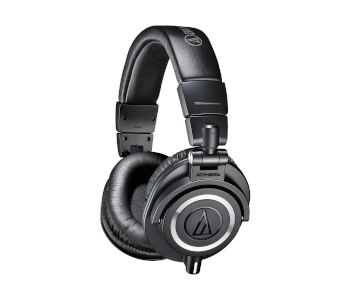 To conclude, the Audio-Technica ATH-M50xBT headphones are reasonably priced for the excellent value that’s offered. You’ll enjoy these if you need a long-lasting fit, good battery life, and audiophile grade sound. You’ll be hard pressed to find a significantly better deal in this price bracket. The Samsung Level has a plain visual design, but don’t let the simple visuals fool you. There is a lot of performance under the hood that you’ll love using on a daily basis. Samsung is known for their smartphones, but these headphones are a welcome addition to the marketplace. Take the time to read the rest of the features to figure out if there is enough value here to be worth the asking price. 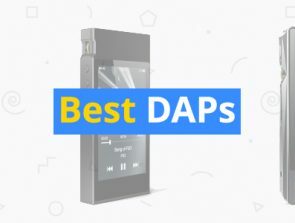 The superior Bluetooth implementation comes with aptX audio codec allowing for a consistently high-quality connection. You receive a battery life of 15 hour per charge and there is a 3.5mm detachable cable that can be used to save battery life. The large 50mm bio-cellulose driver units do a good job of providing deep rich bass at all volume levels. The driver magnets here are 30% stronger compared with similar implementations, so you’re getting an upgraded experience. The resulting audio is sharper and clearer, which means you can enjoy at a near-premium level. The Samsung Level has a simple visual style, but it’s inspired by what the fashion conscious person wants. The simple black design means they are compatible with all outfits and they don’t look too bulky when wearing them outdoors. The active noise cancelation implementation means you won’t have a problem enjoying these headphones while out in public. It’s the best feature to have when traveling, taking calls, or during air travel. The Samsung Level headphones are a great option, but you should not overlook the potential drawbacks. The ANC feature doesn’t do a good job of eliminating the majority of unwanted sounds. Furthermore, the included cables are prone to damage and don’t have a premium feel. To summarize, the Samsung Level is the right choice for enthusiasts of well-rounded headphones. You’ll love these headphones if you need ANC, a comfortable design, and large audio drivers. You’re also buying from an established brand that has a great reputation for manufacturing industry-leading technology. Do you have a big budget and want the best Bluetooth headphones out there? Then you’ll appreciate the execution of the premium models in this price bracket. Industry-leading features are included that bring something unique to the audio experience. You can also expect a luxurious use of materials that allow the headphones to feel nice in-hand. No expense has been spared here to provide a finish that will even impress the critics among you. However, they are the most expensive options so you’ll need to be sure you can appreciate the quality that’s provided here. Bose is one of the industry leaders in the audio marketplace and the QuietComfort 35 is one of their top offerings. The sophistication here means the premium price tag is fully justified. You’ll appreciate the combination of well-implemented ANC, comfortable design, and balance across the frequency range. Read up on the features in detail to figure out if these are the right choice for your requirements. 3 levels of active noise cancelation is implemented that does an excellent job of eliminating unwanted noise. It’s regarded as some of the best ANC in the headphones marketplace. Furthermore, the microphone has a noise-rejecting setup so you can clearly communicate in noisy environments. So don’t worry about taking calls while outdoors in noisy public areas. You can also access Alexa via the mic to control your audio experience hands-free. The sleek design of the headphones is another selling point. They look good while wearing them or around your neck. It’s a lightweight design, which means you won’t mind wearing them for hours at a time. Finally, the premium use of materials means they feel nice in-hand. You can also control audio using the earcup controls and Bose app. The practicality of the QuietComfort 35 is excellent since they are designed for users on the go. You’ll also be pleased with the 20 hour battery life that allows you to keep going all day long without needing to recharge. Before placing the QuietComfort 35 headphones in the virtual shopping basket consider a few of the drawbacks. Firstly, the overall audio fidelity is lacking in quality compared to wired headphones at this price. Additionally, the visual look might be too boring for some since you only have an all-black design to choose from. 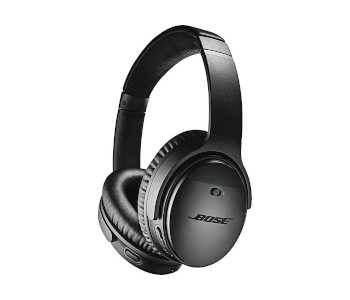 To conclude, the Bose QuietComfort 35 is a highly competitive pair of Bluetooth headphones that offer the best ANC implementation out there. You’ll love these if you want a minimalist and comfortable style. However, they are expensive so make sure the features here are something you’ll actually appreciate. The Sennheiser Momentum 2.0 are one of the best wireless options from Sennheiser that are packed full of useful features. However, they are expensive so you should give them a higher level of scrutiny. You’ll be surprised by the value that’s provided here and they do a good job of competing with other headphones in this price bracket. The 22 hour battery life allows you to use the headphones all day per charge. Bluetooth 4.0 is implemented here with NFC pairing. Therefore, you can quickly forge connections to compatible previously used devices. Simply touch the devices together and you’re good to go. NoiseGard technology is added that actively removes unwanted ambient noise. The implementation is good here and it doesn’t detract from the 22 hour max battery life. Therefore, you can use the feature all day when traveling without worrying about battery maintenance. The VoiceMax technology of the microphone ensures you are clearly heard by the recipient when taking a call. The dual built-in microphone does a good job of catching voice so that you don’t have to speak loudly to be heard. The leather headband design gives the headphones a sturdy and premium feel. The earcups are large and there is good soft padding to provide a comfortable fit. However, the use of leather means there is not as much soft padding when compared to other headphones in this buyer’s guide. The Sennheiser Momentum 2.0 also comes with a few drawbacks that shouldn’t be overlooked when making the buying decision. Firstly, the visual look is not subtle and might not be appealing to everyone. Furthermore, the sound profile is geared towards fun rather than accuracy, which might be disappointing for some audiophile Sennheiser fans. 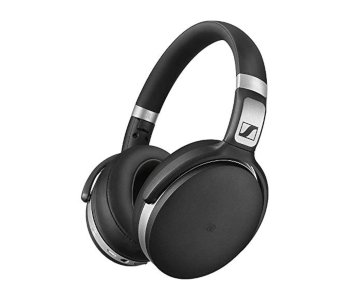 Overall, the Sennheiser Momentum 2.0 is a great Bluetooth headphone choice for users that need long battery life and premium audio quality. You’ll love the advanced dual-mic implementation and use of leather. The Sony WH1000XM3 headphones are packed with a bunch of impressive features that are practical and add value to the package. 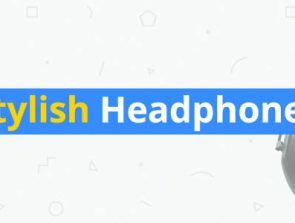 The high-level implementation here is what separates the quality of the features compared with cheaper headphones. Read the features carefully to determine if these headphones are worthy of the premium asking price. The 40mm audio drivers with LCP diaphragms (Liquid Crystal Polymer) provide Hi-Res audio that does a good job of reproducing sound up to 40KHz. The bass is also strong so you’ll enjoy bass boosted music and movies. Sony did a good job of balancing audio across the frequency range so that the vocals do not bleed into the lows. Digital noise cancelation is implemented that does a decent job of removing background noise. Therefore, you’ll love wearing these while out and about. The included microphone also eliminates background noise thereby allowing the recipient to clearly hear you at the other end of the line. The mic is good at picking up vocals so you don’t have to raise your voice to be clearly heard. All day comfort is provided due to the ergonomic design of the earcups and headband. The headband underside has soft padding that provides a soft feel on top of your head. Furthermore, the earcups have a design that isn’t too bulky, but are spacious enough to easily fit your entire ear. 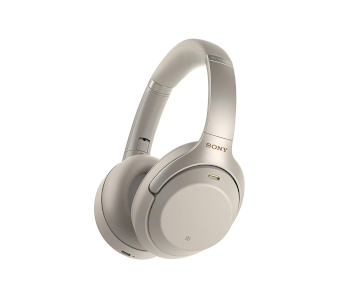 These Sony headphones have a nice balance of being comfortable without being too bulky. The extra-long 30 hour battery life ensures battery maintenance is not an issue. Furthermore, a quick charge feature is included that gives you an amazing 5 hours of running time for only 10 minutes of charging time. Convenient earcup controls are added to the right earcup which allows you to accept/end calls, skip tracks, and alter the volume. The controls are practical to use when the audio emitting device is not within reach. The Sony WH1000XM3 headphones are one of the industry leaders, but for a balanced overview, you should consider some of the drawbacks. The microphone noise isolation is not always effective, which means you may have to repeat yourself. Furthermore, the plastic material design doesn’t ooze of a premium feel, but the plastics used are of good quality. To conclude, the Sony WH1000XM3 is a highly competitive pair of Bluetooth headphones that provides something for everyone. You’ll love these headphones if you are after extra-long battery life, excellent audio drivers, and a long-lasting ergonomic fit. However, you need to judge if the features offer enough to be worthy of the steep asking price. The soft gold design of the Bowers & Wilkins PX gives them a premium feel that you’ll feel pleased with after making the big investment. They are the perfect combination of classy visual design and practicality. However, they are one of the more expensive Bluetooth headphones out there. You’ll need to compare the upside to the price tag to determine if it’s a good deal. The 20-20KHz frequency response range seems average, but the sophisticated audio drivers help deliver premium audio quality. You can also customize your audio experience via the PX app. You can view the current battery life and change the preset to match the music type you’re enjoying. The 22 hour battery life is reasonable and there is an amazing 6 month standby time. Therefore, you can leave your headphones unused for a long time without having to recharge when using them again. Bluetooth 4.1 is implemented that comes with aptX HD for high-resolution streaming. Consequently, your audio will sound clear throughout the entire listening session. The 3 modes of active noise cancelation were based on thousands of hours of getting it right. Therefore, you can enjoy a clear audio experience regardless of your location. The noise cancelation feature increases the rate at which battery life is consumed. You’ll need to use the feature sparingly to avoid running out of battery life more often than you’d like. The Bowers & Wilkins PX comes with a few drawbacks that you need to take into account before going ahead with the purchase. Firstly, the padding could be improved by adding more memory foam. Also, the frequency response could be wider to provide more depth. 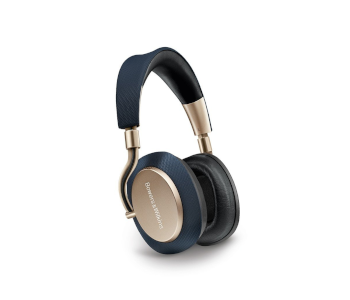 Overall, the Bowers & Wilkins PX is one of the best premium Bluetooth headphones you’ll find. The combination of the strong noise cancelation, up to date Bluetooth, and impressive visual design means you won’t regret the purchase. However, the price is steep and you can get comparable quality at half the price. 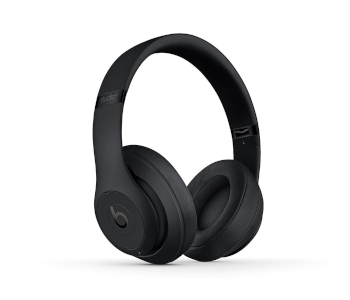 The Beats Studio3 Wireless are one of the more noticeable models that you’ll spot outdoors. People love rocking these due to their cool visual design and strong bass implementation. You also get a choice of colors, which includes black, red, grey, white, blue, and purple. These beats headphones are expensive so you’ll need to give them their fair share of scrutiny to determine if there is enough value for the money spent. The Bluetooth connection comes with a 22 hour battery life when the ANC feature is used, which is about average when compared to other headphones. When the ANC feature is turned off you get up to 40 hours of battery life, which is highly competitive. Additionally, there is a quick charge feature that provides you with 3 hours of running time for only 10 minutes of charging – a great deal! You can fold these headphones down allowing them to fit within the confines of the convenient carrying case. The metal hinges used are durable so you can expect them to withstand knocks. The portable nature of the Beats Studio3 Wireless means they are the perfect travel partner. Apple smartphone users can make use of the W1 chip that allows you to enjoy excellent connection range and strong signal strength. The chip also optimizes the connection so that less power is consumed while enjoying your music. There are a few drawbacks to the Beats Studio3 Wireless that must be considered before pressing the buy button. The bass is strong here and might not match the sound profile of some user preferences. Also, the audio quality does not match audiophile grade level yet the price tag does. You’ll love these headphones of you want a choice of colors, long battery life, a stylish design, and strong bass. However, they are expensive and it can be argued that better audio quality is available from competitors within this price bracket. These are the first headphones designed for a cinematic movie experience. They are packed full of industry-leading technology and features that movie enthusiasts will find useful. The mixture of the long-lasting fit, premium audio design, and useful app means you won’t regret this purchase. The battery life is a solid 15 hour when in low power mode, but when you use the LifeMix and Virtualization features, it can drop down to 10 hours. Furthermore, there is a 20 minute quick charge feature that provides around 2 hours of running time – enough for viewing a single movie. The Dolby Dimension comes with Bluetooth 4.2 and provides a lag-free experience. Therefore, you won’t experience lip-sync issues when watching movies. The custom-designed 40mm audio drivers deliver accurate audio reproduction across the 20-20KHz frequency response. You can also adjust your audio experience via the Dolby dimension app. It allows you to adjust the cinematic sound, toggle low power mode, manage devices, and set your LifeMix level. Furthermore, you can use the intuitive touch controls of the right earcup to alter your viewing and audio experience. Active noise cancelation is included that allows you to watch movies uninterrupted by noisy members of the household. However, the feature is not 100% effective since loud noise can still be heard. You’ll appreciate the long-lasting comfortable fit. The designers have thought long and hard about the wearing experience. The soft padding around the earcups is pleasant and there is good padding on the headband underside. It’s ideal for long binge-watching sessions without feeling the need to take constant breaks. Audeze is known for they audiophile grade headphones and the Mobius doesn’t disappoint. You’ll love the combination of the premium feel, visual design, advanced audio drivers, and useful features. Take the time to evaluate every feature to determine if the premium asking price is justified. These headphones are well-suited for movie watching due to the 7.1 surround sound and Cinematic 3D setting. You can play around with the settings to achieve an audio preset that best matches your expectations. You can also use these headphones for gaming due to the crystal clear microphone that is proved via a detachable boom. The boom implementation has the advantage of reducing bulk when you don’t need to talk. However, if you cannot take calls when you’re outdoors and have left the boom at home. The surround sound immerses you into the gaming world so you have a strong sense of directionality. It allows you to know where danger is coming from before you see it on screen. The Mobius comfort is increased due to the replaceable contoured memory foam. The soft padding means you’ll love wearing these headphones during long movie and gaming sessions. Furthermore, the design is durable, which means you don’t have to worry about accidental drops. Planar magnetic audio drivers are implemented here, which is rare when it comes to Bluetooth headphones. Therefore, you won’t notice any distortion or audio hiccups that can ruin an audio experience. 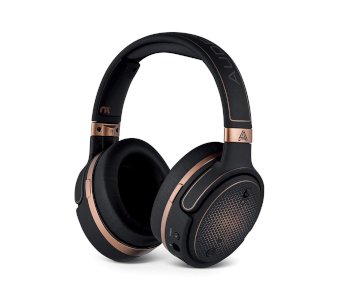 Before adding these Audeze headphones to the shopping basket consider some of the drawbacks. Firstly, they are bulky, which means they are not the best Bluetooth headphones to take while going outdoors. Also, the detachable microphone could have been integrated into the earcups so that you’re able to accept calls while on the go. To conclude, the Audeze Mobius headphones are well-suited for the audiophile that plays video games and enjoys movies. The combination of the planar magnetic drivers, comfortable fit, and surround sound means you’re getting good value for money.